When Do Staring, Leering, And Sexual Gestures Constitute Sexual Harassment In California? On behalf of Admin of JML Law, A Professional Law Corporation posted in Sexual Harassment on Saturday, Jun 16 2018. Contrary to the popular belief, there are not only two forms of sexual harassment that are prohibited by California laws. Besides physical and verbal harassment, persistent leering or staring in a creepy or suggestive manner may also create a hostile work environment for an employee and co-workers. Luckily, California’s sexual harassment laws offer a wide range of protections for employees in Los Angeles, Anaheim, Riverside, and all across the state. 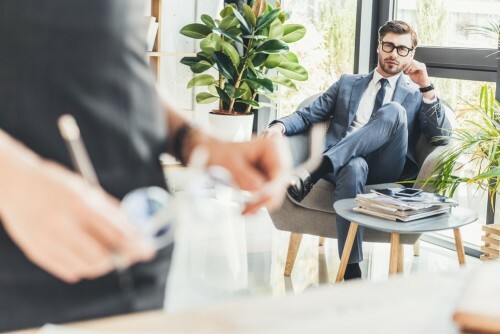 Our Los Angeles sexual harassment attorney at the JML Law warns, however, that staring and leering does not always constitute sexually offensive behavior. Oftentimes, only a skilled attorney can determine whether or not sexual gestures and stares constitute sexual harassment. One thing to keep in mind is that you may be entitled to recover damages for emotional and/or physical distress even if you are not the direct target of staring, leering or sexual gestures. That is because witnessing a sexually offensive behavior can create a hostile work environment, too. Team up with the direct target of sexual harassment and your case instantly gains much more legal weight and has more chances to succeed whether you choose to file a claim or bring a lawsuit jointly with the main victim. Better yet, hire an experienced sexual harassment attorney in Los Angeles or elsewhere in California, and your chances of legal success will skyrocket. Do not be mistaken, not all gestures or stares in the workplace are intended to be sexual or suggestive. However, if staring or other gestures creep you out or are clearly inappropriate, you may have a sexual harassment case on your hands. When preparing a sexual harassment claim, it is important to understand the difference between leering and staring. Leering is a sly look or sideways glance suggesting sexual interest while staring is fixedly looking at someone with one’s eyes wide open. The nature of the unsolicited conduct and acts. The period of days, weeks, months, or years over which all of the alleged acts of sexual harassment occurred. The context in which the conduct occurred. The extent of harm or damages this conduct has caused you and your co-workers. Looking at someone up and down suggestively. Making suggestive or lewd gestures or body movements. Regardless of the type of sexual harassment you have experienced, you may be entitled to monetary compensation for your emotional and physical distress as long as the harasser’s behavior, acts or conduct creates a hostile work environment. Contact the JML Law to speak about your particular case. Call our offices at 818-610-8800 or complete this contact form to get a free consultation.